Come see this large Perkasie Borough twin with loads of character and charm including pocket door, cedar closet, rocking chair front porch and landscaped backyard with patio! A Master Suite with full bath, walk in closet and 3 additional spacious bedrooms is a rare find in these older homes! Improvements include brand new floors in living room and dining room, fresh paint, new boiler and hot water heater in 2014. Included is a barn type 2 car garage (left side of building across alley behind home) on separate alley parcel (33-005-508). 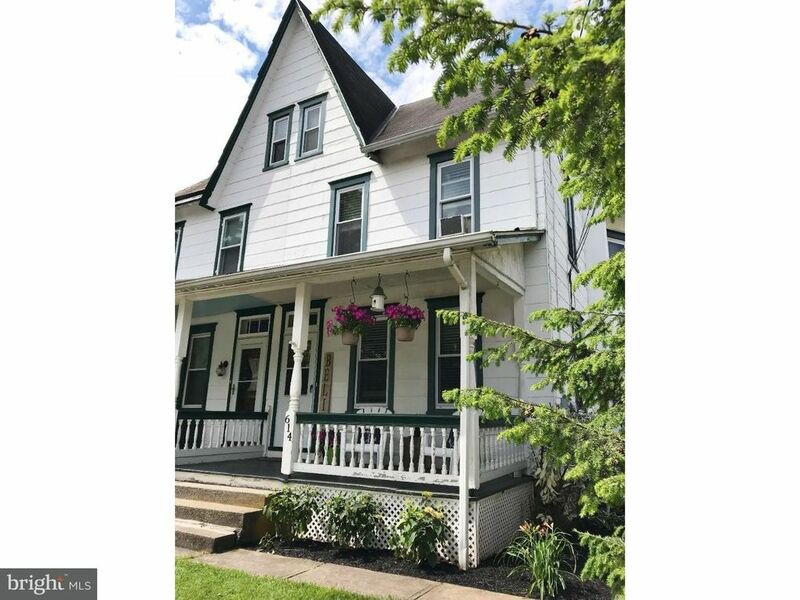 Located within walking distance to downtown Perkasie. Make your appointment today!